Well this year is all but over. I have been blogging now for seventeen months. It all started as an experiment. I wasn't sure if I would enjoy it or not. To be honest, I find it a bit addictive. And I think the statistics help keep me going. I average about 24,000 visitors a month. But even more important than the statistics are the comments and emails. From time to time I wonder if this is project that is eating up too much of my time. Then I get a comment thanking me for a post. Or I receive an email telling me how much they enjoy my blog or how a post was inspiring to them. And so I continue. What is funny, however, is the posts that seem to generate the most traffic are not the ones I would expect. And sometimes they are the ones that required the least amount of thought and effort. 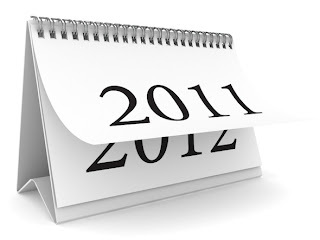 And so here they are, the top five posts of 2011. The number one post of 2011 was actually written on December 2, 2010. But the attention it received was concentrated in the first 5 months of the year. The world watched as the end of the world was predicted to end on May 21st, 2011. And the date passed, and we are still here. But my post on the topic received 13,987 hits. The second most popular post was about the supposed discovery of the Ark of the Covenant in Greece. This was short piece that I posted mostly because I thought it was silly. But several "prophecy" web sites picked up on it and it received 8,350 hits. The third is also rapture related. I posted a video about the invention of the rapture, which not only generated 4,642 hits, but also made a number of people upset with me. In fourth place is a post I did in June about questioning the historicity of the Adam and Eve story. 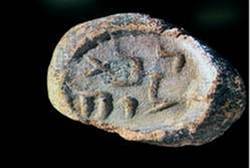 Finally, in fifth place is a post I did on Urban Legends of the Bible. Actually, I got the idea from Trevin Wax who listed the items first. I made the post on April 28th and received some good responses. But then about a month ago a Polish web site picked up on it and re-posted it . That drove the hit count up to 3,967. While the top five certainly generated some traffic, here are some of my personal favorites from this year. Resurrection: The Hope of Easter explained why I still have hope. 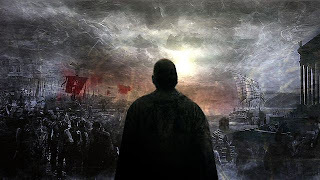 What we need to do after the rapture doesn't happen was my attempt to encourage people not to laugh at those who thought May 21 was the end of the world. Instead I suggested that they would need some to minister to them. Between Fear and Faith was my thinking out loud about what happens when the faith you were raised on goes under radical change. The Myth of the Church's Golden Age was me ranting about how everyone wants to go back to the good old days of the New Testament church. I suggested that no such golden age ever existed. 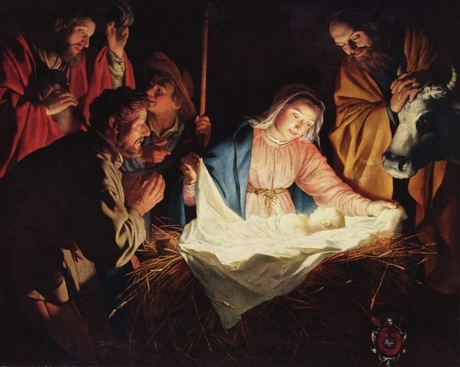 Finally, a more recent post was When the Manger is Empty: Childless at Christmas. This was an attempt at expressing the emotional and theological dissonance felt by infertile couples at this time of the year. I had no idea so many people would find it helpful. There are many more I could mention, but these are the ones that stand out in my mind. And the responses to them encourage me to keep blogging. So to all my readers, wherever you are, I wish you a happy and prosperous new year. And I look forward to hearing from you in 2012. The story of Noah's Ark is well-known. And that there has been a lot of discussion about the story. It is true? Is it a myth? Was it a worldwide flood or only localized? Have explorers in Turkey discovered Noah's Ark? Did the flood create the Persian Gulf? National Geographic is airing a program on January 5th in which Jeff Rose will suggest that the flood created the Persian Gulf. 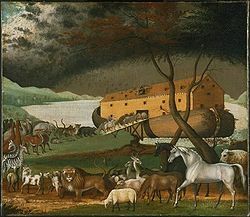 Most people are familiar with the biblical story of a worldwide flood, where God destroyed all life on earth except the family of Noah and the animals that they boarded on an ark. Scholars of ancient writings from Mesopotamia (now Iraq) point to texts written thousands of years before the bible that describe a flood and say that the bible story comes from those stories. Others like archaeologist Jeff Rose say these pre-biblical stories have merit because the destructive forces of water in a once tropical region in Iraq, considered by some to have been the Garden of Eden, might have inspired the biblical story of Noah's Ark and the great flood. Dr. Rose believes that a massive flood once swallowed a landmass as big as Great Britain, created the Persian Gulf and sent tribes of Neolithic people into constant retreat from the ever-rising waters. The documentary, Diving Into Noah's Flood, will air January 5, at 8 PM EST, on the National Geographic Channel. Here is a short clip from the forth coming show. The story of the Bethlehem star is well known. Every church nativity has a six year old dressed as a star and many Christmas trees are topped with one. And the star has been cast in many a Christmas movie. It's not uncommon for the protagonist to look up into the night sky and see a star. 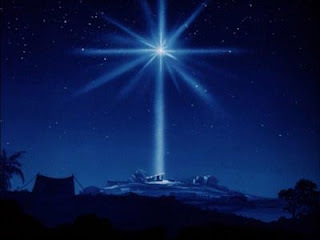 Although no explanation is given, it is understood that some connection between the present situation and that of the babe in Bethlehem is being alluded to. The story is so well known that there have been a number of attempts by astronomers and others to determine what star the magi from the East saw and how it was that a star could move. There are couple of articles on the topic of the star that I ran across this week. At the Washington Times, Amanda Read provides a theological explanation of the star and what it meant. At National Geographic Robert J. Vanderbei of Princeton University looks at the story of the Bethlehem Star and suggests that it was created by a convergence of Jupiter and Venus on June 17 in 2 BC. At MSNBC Joe Rao asks if it was a star or a comet. Finally, Kelly Oconnell at the Canada Free Press adds a perspective that combines faith and science. This is the last week of the book giveaway before Christmas. This week I am giving away N.T. Wright's - The Resurrection of the Son of God (Fortress, 2003). Here is the blurb. 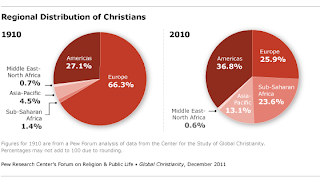 Why did Christianity begin, and why did it take the shape it did? 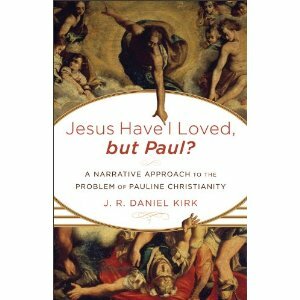 To answer this question – which any historian must face – renowned New Testament scholar N.T. Wright focuses on the key points: what precisely happened at Easter? What did the early Christians mean when they said that Jesus of Nazareth had been raised from the dead? What can be said today about his belief? 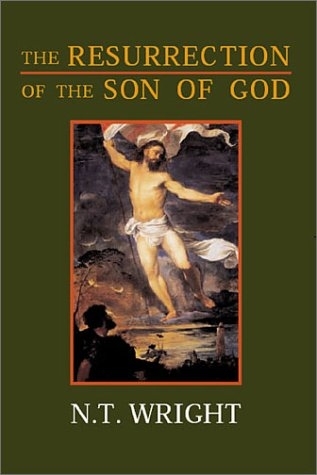 This book, third is Wright’s series Christian Origins and the Question of God, sketches a map of ancient beliefs about life after death, in both the Greco-Roman and Jewish worlds. 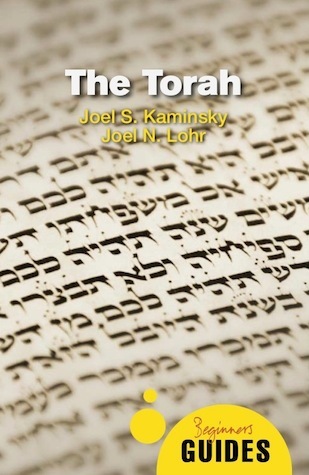 It then highlights the fact that the early Christians’ belief about the afterlife belonged firmly on the Jewish spectrum, while introducing several new mutations and sharper definitions. This, together with other features of early Christianity, forces the historian to read the Easter narratives in the gospels, not simply as late rationalizations of early Christian spirituality, but as accounts of two actual events: the empty tomb of Jesus and his "appearances." How do we explain these phenomena? The early Christians’ answer was that Jesus had indeed been bodily raised from the dead; that was why they hailed him as the messianic "son of God." No modern historian has come up with a more convincing explanation. Facing this question, we are confronted to this day with the most central issues of the Christian worldview and theology. So if you want to win this book put your name below and I will draw a random winner on Sunday. Once chosen the winner has five days to claim the book. Good luck to you all. While some people call this time of the year the “Christmas Season” it is technically Advent. For those who follow or are familiar with the liturgical calendar, Advent is the season in which the church looks forward to the coming of Christmas, the birth of Christ. During the four weeks prior to Christmas day, churches across the world will read scriptures and sing songs expressing the hope that the Christ will be born. 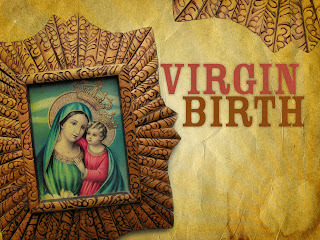 It is a time when the church looks forward to celebrating the first coming of Jesus, as an infant, incarnate. In some churches a manger is positioned at the front. But the baby Jesus is not placed in the manger because it is not yet Christmas. Christ has not yet come. 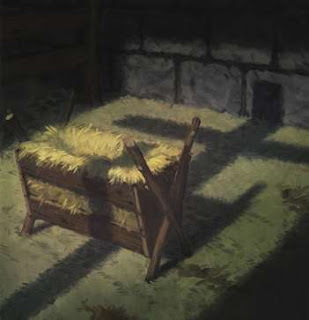 But on Christmas Eve/Day the babe will be placed in the manger as part of the celebration of Messiah’s coming. Until then, however, the manger remains empty. 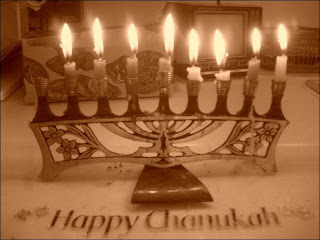 But in the midst of the celebration there are those who find Advent and Christmas a struggle. It is a painful reminder that for them the manger in their own home is empty. It is empty not because they are not religious. Not because they refuse to participate, but because they are unable to fill that manger. They are among the six million couples a year that learn that they are unable to have children. And the irony of the season is not lost on them. As the church celebrates God’s gift to the world, a baby, they are keenly aware that there is a level at which they cannot participate in the Advent celebration. 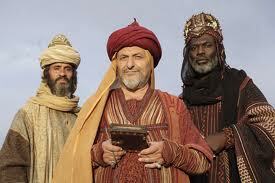 The coming of the Messiah is somehow dulled by their realization that God’s gift seems to have skipped over them. There is a feeling of disconnect for them as they hear the promises of Isaiah 7:14, Matthew 1:23 and Luke 1:29-33 read in church, all of which speak of a child, of joy, of great things to come. And yet, the childless couple is unable to identify. Add to this the overwhelming focus on children at Christmas (a good thing), and the season is more crushing than uplifting. The Bible is of little help to the childless couple. A quick survey of the Bible reveals a number of stories about childless couples. Most of them focus on the woman’s inability to conceive. All of them, without exception, find resolution when God opens the womb. Quite often the focus of readers, teachers and preachers of the Bible is on the divine intervention that finally allows the woman to bear a child and bring to fruition a previous promise made by God. But the absence of stories about promises to those who remain childless creates a painful cycle for the couple. 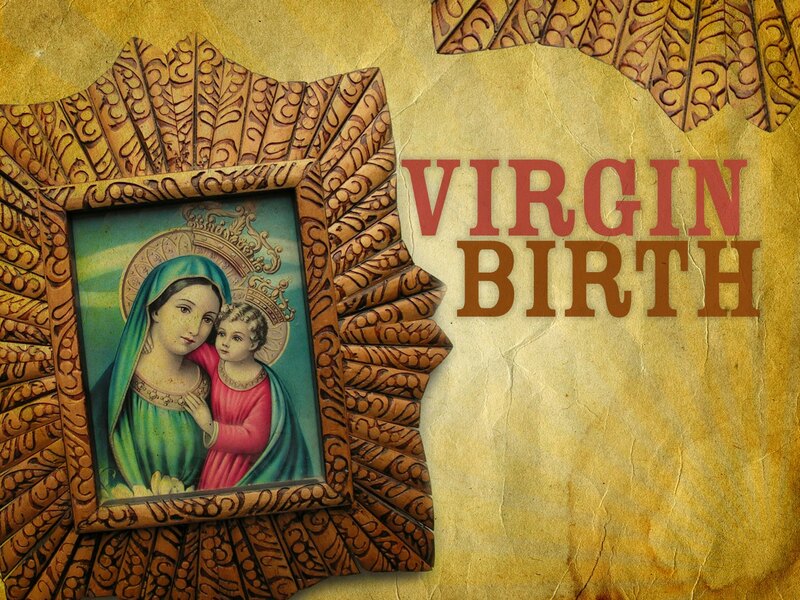 The story of the Christian Bible focuses on the promise and birth of the baby. But there is no place in the Bible for the couple to turn to find comfort when their own manger remains empty. Ministers will often recognize the pain that a Mother’s day or Father’s day celebration can cause to a childless couple. Usually these couples will stay home from church on that Sunday. They don’t want to spoil the celebrations of others, but they also don’t want a reminder of what is lacking in their own life. But some are unaware that there is a level of discomfort at Christmas as well. And it is theological as well as emotional. Why is it that God overturns the circumstances of every childless couple in the Bible, but leaves them in their own circumstances? God makes promises to the barren Elizabeth and the Virgin Mary, but where are the promises of God to them? How can they process their situation theologically? In the midst of the celebration of Christmas, the birth of a promised baby, they live in theological silence. There are no answers. And Advent and Christmas becomes a bittersweet time as they join the church to celebrate God’s gift, while their own manger remains empty. I have been unable to find a way to close this post. Indeed, it may be that closure is not the answer here since for many childless couples closure is not something that ever fully happens. I decided to Google the phrase “Childless at Christmas” to see if anyone else had thoughts. I found two columns recently published on the topic. One from the Australian Sydney Morning Herald and the other from the UK Daily Mail. Neither of them proposes answers to the theological aspect of being childless at Christmas. But perhaps you will find them helpful if you find yourself ministering to a childless couple this Christmas. If you are childless this Christmas, perhaps this blog or the linked articles will at least let you know that you are not alone. Miracles. The Bible is full of them. But few in the western world have ever see one. I know I have never seen one. I have heard plenty of stories about them, but they always seem to take place somewhere else. A place where I can't got to see it or the person who experienced the miracle. And the truth is the longer you go without seeing a miracle the more you suspect that they no longer happen today or, quite simply, never happened in the past either. This is a particular problem of the modern age. We can explain so much through science that we are able to explain away many things that might have been called a miracle. The same happens with the miracles in the Bible. 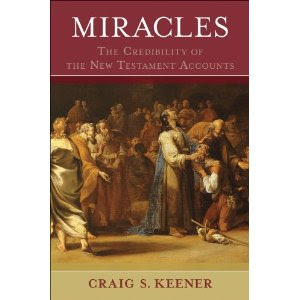 But Craig Keener believes in miracles, especially the ones of the Bible and says that modern believers should expect them. Keener is professor of New Testament at Asbury Seminary and has recently published a two-volume work titled: Miracles: The Credibility of the New Testament Accounts (Baker, 2011). Most modern prejudice against biblical miracle reports depends on David Hume's argument that uniform human experience precludes the possibility of miracles. Yet current research shows that human experience has been far from uniform. 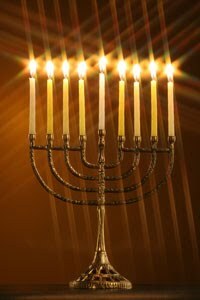 Hundreds of millions of people all over the world in all cultures, in both ancient times and in modern times, claim to have experienced miracles. In Miracles New Testament scholar Craig Keener argues that it is time to reevaluate Hume's evaluation of the miraculous in light of the growing stock of evidence available to us in support of miraculous events. This magisterial, wide-ranging and meticulously researched two-volume study presents the most thorough current defense of the credibility of the miracle reports in earliest Christian history, namely the Gospels and Acts, and also for plausibility of the miraculous occurring in today's world. Covering methodological concerns and assumptions, empirical evidence, and majority-world assumptions, Keener also draws on claims from a range of global cultures and takes a multidisciplinary approach to the problem of miracles. 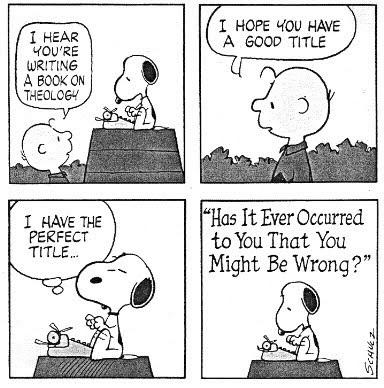 Thus Keener argues, that when the methodological issues are properly dealt with, and the historiographical veracity of many miracle accounts throughout history and from contemporary times are explained, our best option remains to acknowledge them as genuine divine acts which, in turn, lend credence to biblical miracle reports. Primarily, to challenge scholars who dismiss miracles in the Gospels as legends and not historically plausible. Eyewitnesses say these kinds of things all the time. I also want to challenge the bias that says these things can't be supernatural. I believe God does miracles, and I don't see why we scholars are not allowed to talk about it. What does New Testament scholarship gain from taking miracle stories seriously as historical phenomena? We have been embarrassed by the miracle stories, and have tended to allegorize them more than other narratives. Accounts from the Temple of Asclepius, the Greek god of healing—nobody allegorizes those. I agree that the Gospel writers are teaching us broader principles with broader applications. But in much of the majority world, when people read these narratives of healing, they see a God who cares about their suffering, who meets them at their point of need. I think we in the West can learn from the way they hear. One of your main points is that non-Western cultures may provide a better paradigm for reading the Gospels than the academic Western paradigm. Can you say more? Most cultures believe and report experiences that do not easily fit our Enlightenment paradigm. Hume may have been aware of that, because he makes a point of dismissing reports from "ignorant, barbarous" peoples. Hume's ethnocentrism is well-documented. It's not an argument that would fly too well in the 21st century. Are you suggesting that even in our own era, there is an ethnocentrism in the way scholars read the New Testament? Yes, though I think there is more openness today. If somebody today said what Bultmann said, that nobody in the modern world believes in miracles, then that would be flat-out having your head in the sand. You can read the rest of the interview here. In addition to talking about New Testament scholarship Keener talks about his own experiences with researching the miraculous. It is an interesting read and I imagine his book will generate a good discussion. Congrats to Jeremy Miller! He is this week's Friday Book Giveaway winner. Jeremy has won David deSilva's - An Introduction to the New Testament: Contexts, Methods & Ministry Formation(IVP, 2004). Jeremy, you five days to email your details to jbyron@ashland.edu. Failure to claim your book in five days will return the book to the shelf. Didn't win this week? Don't forget that next Friday I will be giving away a copy of N.T. Wright's - The Resurrection of the Son of God (Fortress, 2003). Forget Black Friday! Who needs to wait in long lines for cheap stuff? Forget cyber Monday! Who cares what deals you can buy online? I know what my readers want. They want free books just for the asking! So, in honor of the holidays I will be giving away a book each Friday until December 16th. That means that if you are a reader of this blog and either want a book for yourself or to put under the tree for someone special, you have three chances to win before Christmas (Xmas). And, I am going to tell you in advance which ones I am giving away in the order you can expect them. Today - Ben Witherington - The Indelible Image: The Theological and Ethical Thought World of the New Testament Vol. One (IVP, 2009). 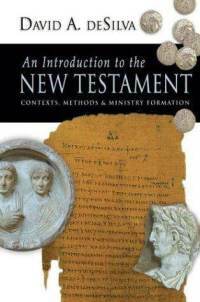 December 9th - David deSilva - An Introduction to the New Testament: Contexts, Methods & Ministry Formation (IVP, 2004). December 16th - N.T. 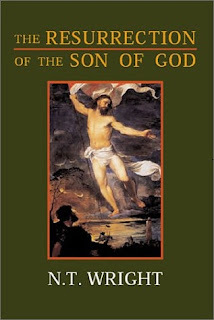 Wright - The Resurrection of the Son of God (Fortress, 2003). So check back each week and put you name in the drawing and put a book under your tree (they are much to thick for stockings). Winners will be selected on the Sunday following the Friday the book is posted. As always, the winner has five days to claim their book once their name has been posted. All unclaimed books go back on the shelf. In the mean time, here is the blurb for Witherington's book. All too often, argues Ben Witherington, the theology of the New Testament has been divorced from its ethics, leaving as isolated abstractions what are fully integrated, dynamic elements within the New Testament itself. As Witherington stresses, "behavior affects and reinforces or undoes belief." 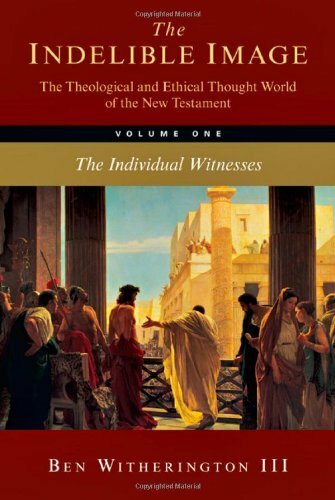 Having completed commentaries on all of the New Testament books, a remarkable feat in itself, Witherington now offers the first of a two-volume set on the theological and ethical thought world of the New Testament. The first volume looks at the individual witnesses, while the second examines the collective witness. The New Testament, says Ben Witherington, is "like a smallish choir. All are singing the same cantata, but each has an individual voice and is singing its own parts and notes. If we fail to pay attention to all the voices in the choir, we do not get the entire effect. . . . If this first volume is about closely analyzing the sheet music left to us by which each musician's part is delineated, the second volume will attempt to re-create what it might have sounded like had they ever gotten together and performed their scores to produce a single masterful cantata." What the New Testament authors have in mind, Witherington contends, is that all believers should be conformed in thought, word and deed to the image of Jesus Christ--the indelible image. Leave your name below and good luck to you all. Several times a year a student will make an appointment with me to discuss what it takes to earn a PhD degree. These are often students who enjoy learning and the academic setting and would like to continue on to the next level. I usually begin by asking them why they would like a PhD and why they believe they need one. After a few more preliminary questions I lay out for them what is involved in getting the degree. At some point in the conversation they begin to realize that this is not like earning a second, slightly more advanced masters degree. I then usually say something like “there is a reason they call it a terminal degree.” By the end of our 30 minute meeting many of those students leave my office wide-eyed at what it takes to earn a PhD and convinced it is not for them. This is a completely different degree with all kinds of new expectations and demands. While I may sound like the fount of all wisdom to the students who visit my office, I remember being in the same situation. Not only did I not know what was required to earn a PhD, I had no idea what a PhD was. Honestly, I knew that professors were called “Dr” but I had never stopped to ask why (nor did I care). I entered my masters program with no intention of going beyond that degree. It was a miracle that I had made it that far in my academic pursuits and even wanted to go that far. School and I did not have a very positive experience. So when I entered a graduate program and began to meet people with PhDs I was introduced to a whole new aspect of the academic world. Over time, however, I began to realize the need for a PhD, which in turn birthed the desire. I was fortunate to have some professors who not only encouraged me to move forward, but also provided some helpful guidance and contacted their own friends and mentors at the institutions where I was hoping to enroll. Long story short, I was accepted at the University of Durham and completed the PhD in 2002. Ever since I have tried to provide my students with helpful advice as they seek to follow the same path. After eight years of teaching I have seen four of my students enter PhD programs and one a ThM. I am hoping and praying that they will all finish successfully. When I do find a student that I think will be successful and should apply to a program I provide some suggestions that might help them. Perhaps you will find them helpful if you are considering applying for a program. Getting a PhD takes time. The average program in North America lasts five years (three years course work, two years writing). 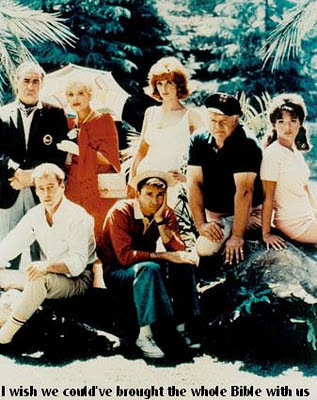 In the UK the program is slated as three years, but often takes four (or more). If you are in, say, the second year of a master’s program then you are at least two years away from entering a PhD program and at least five from finishing. That is at least seven years. And if you hope to find a job you will need to build in a one to two year buffer to find that job after completing the degree. Most people do not walk out of a program into a job. I started my master’s degree when I was 25 and started my first teaching job when as I was 35. If you are applying to programs in the USA (Canada?) you will need to take the GRE exam. I am not convinced that this is always the best policy since taking this type of exam is not necessarily an indicator of success, but that is the way things are. In order to prepare for this exam students will buy preparation books that help them to learn vocabulary, brush up on their math, and sharpen their analytical skills. This is what I did and my scores were satisfactory (my math skill was my lowest, which is why my wife has the business degree). 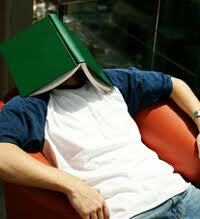 But over the last few years I have had several students take the Kaplan GRE preparation course. This is not a way to cheat. The GRE is a particular kind of test, one you will most likely never see again. The Kaplan course helps you learn how to take the exam so that your score correctly reflects your knowledge of the subjects rather than your inability to figure out how the exam is written. At least two of my students have taken the GRE using the preparation book they bought off Amazon and then took the exam a second time after taking the Kaplan course. In both cases their scores increased dramatically. The course will cost about $1200. I know that is a lot for a student, but consider it an investment. A good score will not only help increase your chances of getting into a program, it could also help to earn you a scholarship. Most PhD programs, especially in biblical and theological studies, require that you know a number of ancient and modern languages. 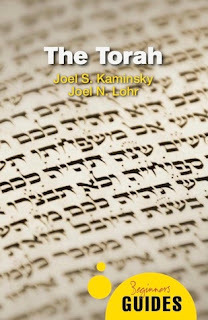 Make sure that you learn your Hebrew and Greek in your masters program. Take advance level courses and, if possible, sign up for courses and directed studies that require you to use and advance your languages skills. And if possible learn at least German. Here at Ashland we offer two terms in Theological German. The course won’t have you ordering schnitzel and a beer at your favorite German restaurant, but it will help you to read Bultmann and others. If you can learn French do that as well. But I would also recommend learning a language like Spanish. The population of Spanish speakers (at least in North America) is growing and knowing another modern language will only help you, especially when you are looking for a job. I learned German before I entered my PhD program. The advantage of having some ability in the language before beginning the program is that it will reduce the pressure on you once you are enrolled. It will be one less thing you have to learn. Students usually already have an idea of where they want to enroll for a PhD. Since I work at a seminary the students often are thinking about other seminaries or denominationally affiliated institutions. That is fine if you only ever want to work in schools associated with that particular denomination. But if you are hoping to increase your employability beyond your own denomination then I recommend going to a university where denominational ties are either weaker or non-existent. Remember, there will be a lot of PhDs applying for about 50 jobs a year and you want to attract the attention of as many of them as possible. On the flipside, not going to a program sponsored by or associated with a denomination can also hurt your employability. Many schools require that their professors be a member of denomination “X” if they want to teach there. 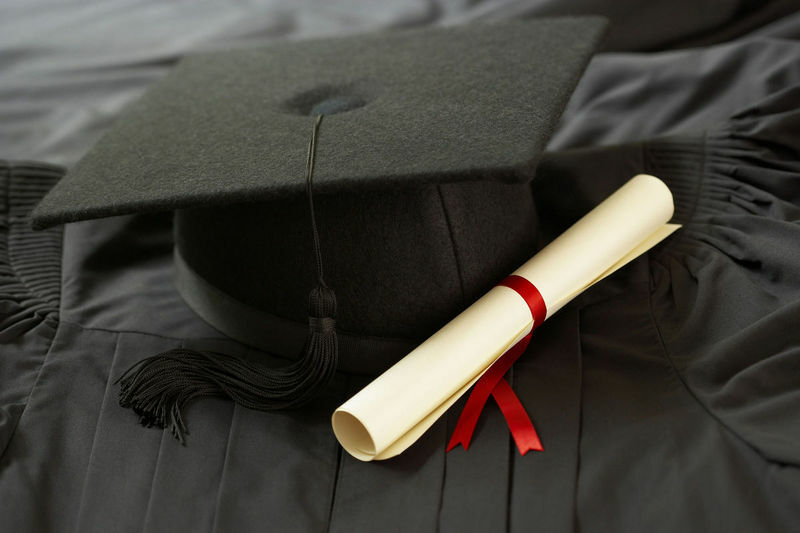 Consequently, a PhD from the denomination’s school is more attractive to them. So know what kind of institution you hope to teach at and plan accordingly. Finally, once you have taken your GRE exam, learned your languages and located some potential mentors, you need to make application. Do not apply to only two or three schools. The competition is fierce for these programs; some only take ten or less new students a year. I suggest that if you are serious about getting the degree that you apply to as many schools as possible. I once had a student apply to twenty different schools. A bit excessive, perhaps, but in the end he had both acceptance and rejection letters, which means that he had the opportunity to choose from the acceptance letters where he wanted to go. True, the application fees can add up. But, if you apply to two schools and don’t get in you are not only out the application fee, you are stuck at your current degree level and your career has stalled. On the other hand, if you apply to ten schools and get accepted by two or three you are then in the position to choose and can move ahead in your career. Yes the process was more expensive, but in the end your investment got you where you want to be. There is much more that I could say. And then of course there is the other whole topic of actually completing the PhD program successfully once you are enrolled. But if you are getting ready to or thinking about applying, then the above should help. I would be interested to read any other advice that others may have for those interested in getting a PhD. Leave a comment below.